Vital Mend Garcinia Cambogia is 100% pure, contains 60% HCA (Hydroxycitric Acid). Garcinia Cambogia comes from a tree that grows in subtropical climates such as Indonesia and Africa. It has similar properties to a citrus fruit. Due to the sour taste of this fruit it has been used for centuries in Asian foods. Garcinia Cambogia comes from a tree that grows in subtropical climates such as Indonesia and Africa. It has similar properties to a citrus fruit. Due to the sour taste of this fruit it has been used for centuries in Asian foods. Garcinia Cambogia contains a chemical called HCA (hydroxycitric acid). 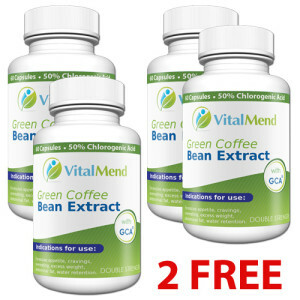 The science behind HCA is that it has been known to help with the metabolism of the body. 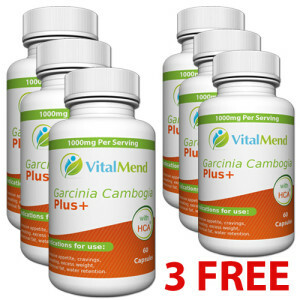 Vital Mend Garcinia Cambogia is 100% pure, contains 60% HCA (Hydroxycitric Acid). As a dietary supplement, take one (1) capsule twice a day, 30-60 minutes before meals with an 8 oz glass of water. 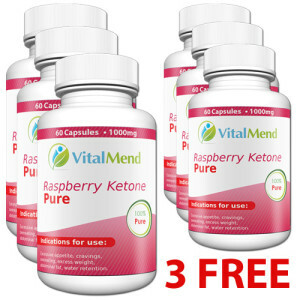 For optimum weight loss results, take one (1) capsule three times daily. The ideal diet to follow while taking Garcinia Cambogia is a diet right in whole, natural, and organic foods. Focus on lean proteins, fruits and vegetables.